Deer Me: What Do We Adults Know? 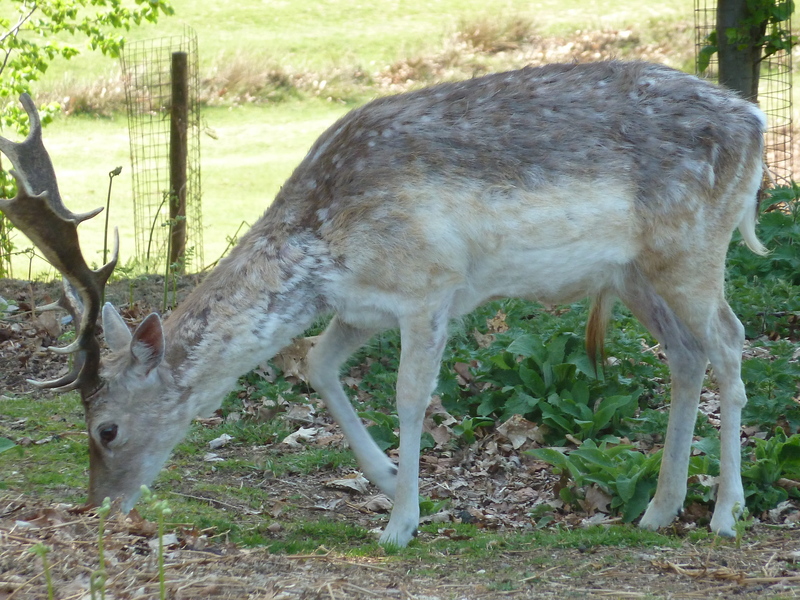 It is a bright, balmy early summer’s day in Knole Park near Sevenoaks. The 1,000 acre park not only contains the great house of the Sackville family, but one of the few remaining medieval deer parks in England where both fallow and sika varieties roam freely. I spot a buck that has been separated from the rest of its herd. It does not appear overly discomfited by the human crowds. I edge towards it in pursuit of a close-up photograph as it watches me intently. But then I discover that we are not alone. A young girl, maybe four or five years old, in a polka dot dress is approaching it, equally cautiously, from a different angle, proffering a packet of crisps (potato chips). Understandably, the deer’s gaze turns to her intriguing gift. There are signs scattered around the park urging the human visitors not to feed the animal residents. I call across to the girl to remind her that she must not feed the deer. She cannot understand why animals wouldn’t also enjoy crisps, and I try to explain the reasoning for the ruling, namely that they have their own dietary needs which are different from humans, and eating food designed for the latter might upset the delicate balance of their constitution and make them dependent upon visitors and, potentially, lead to conflict between man and beast. The girl continues to look unconvinced whilst the buck’s increasing agitation suggests that he would welcome us coming to a mutually agreed solution sometime soon. In response to her insistence that crisps could not possibly be harmful, I repeat my arguments. “But they are cheese and onion”. I haven’t the heart to look back to see whether the deer prefers salt and vinegar or prawn cocktail. But at least I got my photo. With apologies and grateful thanks to the mighty Bob Dylan, I have revised the lyrics of probably his greatest put-down song in honour of the people running Kent County Cricket Club. You got a lotta nerve to say the money’s been well spent, so why have we a team that’s just not winning? You say you’re in control, you know it’s not like that, if you’re in control, why then don’t you show it? You say there is no rush to rebuild our ailing team, why then does our captain think we should do? Do you take me for such a fool to think we have a side that will compete with other counties like we could do? And now you know that I’m dissatisfied with your performance and your place, can you please find us a team to win with? Yes, I wish that for just one time you could stand inside my shoes, all you’d see’s a suit, a grin and no clue. In my previous article on the subject I referred to the awkwardness that always descended upon me in the past when asked what job I did (for those not familiar with it, I was a civil servant). But that is nothing to the reaction I now get when informing people that I am a writer (there I said it). Nine months later, I have got beyond saying I am unemployed – in fact I don’t think I’ve ever said that (such a snob), though, technically, it could be argued that, as I am below pensionable age, that might be true. But as I do have a source of income (my occupational pension), I tend to fall back on the word “retired”. Even then, house husband (to my wife – obviously) and part time carer (to my father) reflect more what I actually do with that (important) part of my time when I’m not writing. What I want to declare every time, and with feeling, is that I am “a writer”. When I do manage to blurt it out it is usually only after I have already said “retired” – my vanity prompting me to provoke envious or admiring noises. I suspect that I will only feel confident enough to rely upon “writer” if and when I manage to make any money from my work. But it’s not only myself who struggles with the word, however strongly I feel that it defines what I now am and do. People don’t know what to say beyond “what have you written” (as if they’re likely to have heard about, let alone read, your piece – had you published anything in the first place). Many will profess to be impressed and claim that they too “have a book in them” or “have always wanted to write”. But they have no understanding of what it means to be a writer, to look at and think about the world through a writer’s mind (to be fair, that is something I too continue to try to come to terms with). In fact, the declaration intimidates, and immediately labels you as odd (“different” might be a more charitable word), or – worse still – an intellectual (an accusation my underdeveloped capacity for reasoned thought disqualifies me from pleading guilty to). Even writing notes for this piece on a train into London earnt me suspicious glances from other passengers. How peculiar of me not to be burying my face in my mobile phone and exercising my thumb muscles! When I meet friends they will talk about anything but what I’m doing with my time. Whole weekends in their company may pass without even a question as to “how are you getting on” or “what have you been up to lately”, let alone “what are you writing at the moment” or “I liked that piece you wrote about the cricket last week”. The idea that I could spend a lot of time writing, or not even writing, but planning and thinking about it, is incomprehensible. It’s not a serious pursuit and one that does not pay (yet). It was difficult enough in the period after I left work, when I was working towards my travel and tourism qualification, when I would have to raise the subject myself in conversation. But at least that was a tangible product, enabling friends to ask “have you completed any more of your assignments” or “what grade did you get for the assignment on preparations for the 2012 Olympics”? I’ve always regarded myself as a bit of an outsider – comes, I suppose, in part, from being an only child. Whilst I had friends, they tended to be no more than one or two at a time, and I never had the need, or indeed desire, to join groups (other than sporting teams – Sunday school and the cubs were my parents’ idea). So I learnt to be comfortable in my own company (crucial for a writer), whilst not repudiating my Libran credentials for sociability. In engaging with others though, both in the personal and work spheres, I’ll confess that it has invariably been on my own terms, whereby I have tended to “take charge”, to be the one to plan and organise activities. And now that my sole ambition is to write, and with the aim of translating what modest talent I have for it into hard cash, the often embarrassed silence that passes even amongst close friends, aggravated by my own hesitancy on the matter, is magnified. The answer, you might say, is to get on with, and stop pontificating about, it – and you’re right, of course, though be assured this public self-analysis does help me to understand what I’m trying to achieve. I should not want anyone of my acquiantance to take offence at the foregoing. It is rather a statement of fact, and a consequence of who and what I am, and something that I must work through myself. And, hey, perhaps we”ll speak of nothing else in future! Today is my birthday, the 59th to be precise. Cause for celebration? Perhaps, but more a sense of satisfaction and gratitude for being granted the last year. And a sense of expectation for what lay ahead. But, for the past seven years, any joy has been tinged with sorrow as my mother died just two days before it. Her last whispered words as I wished her a good night in hospital were “happy birthday, I love you so much”, as if she knew she wouldn’t get the chance to say it again. Thinking no such thing myself, I admonished her, reminding her that my birthday was still a couple of days away and that she could extend her love and best wishes then. But, as always, she knew best. Yesterday, two fine talents who have also influenced me, though not in as profound a way as my mother, were snatched from us before their time. Graham Dilley, Kent, Worcestershire and England cricketer, passed away after a short illness at the criminally young age of 52, whilst one of the greatest guitarists of the past half century, Bert Jansch, died at the age of 67 after a long battle with cancer. I will never forget my first sight of “Picca” Dilley on a Kent ground. Aside from his shock of blond hair, and beaming smile, here, at last, was the type of player that the county club had rarely been blessed with – a genuinely quick bowler who could spreadeagle rather than tickle a batsman’s stumps. On his day he was also a glorious stroke player, earning comparison, on one occasion, with the great Frank Woolley. Were it not for injury he would surely have led England’s attack for more than 41 tests. Jansch was a musician’s musician, who influenced and inspired guitarists who became household names such as Jimmy Page, Paul Simon and Neil Young. I first encountered him playing with the outstanding British folk group, Pentangle, whom he helped to found and collaborated with for many years. I hadn’t seen Dilley for nearly 20 years, during which time he had become a successful and much loved coach. Nor had I seen Jansch live in that same period, though his music lives on in recorded form. But their passing, whilst diminishing my life now, enriches it too because it reminds me how important to me they have been at times in my life, and that they have played a positive part in making me who I am today. In that sense, they join some distinguished company. It is against this even sadder than usual backdrop that another birthday has dawned (on a morning that I also hear of the death of Steve Jobs, the founder of Apple). Or perhaps birth weekend would be a more appropriate term. Tonight my wife and I will have a meal and stay in Tunbridge Wells, and on Saturday evening we will pay homage to David Crosby and Graham Nash at the Royal Albert Hall, again with a hotel stay in the capital. My mother would not have wanted it any other way. You may be familiar with Mr Jingle’s assessment of Kent in The Pickwick Papers: “Kent, sir – everybody knows Kent – apples, cherries, hops and women”. Although the abundance of the first three may have been diminished in recent times (being a happily married man I could not possibly comment on the fourth), this still holds true to a great extent. An alternative definition that I would subscribe to might be “coast, countryside and cricket”. It is certainly a triumvirate of glories that make me a proud product of its soil. That pride has been rather dented over the summer months with the dismal displays, both on and off the pitch, of the county cricket club. The cradle of the game, home to some of its greatest ever players and with a tradition of playing cavalier cricket in front of large festival crowds in beautiful surroundings, now reduced to a laughing stock in the cricketing world. Rising debts, the result of a succession of poor financial decisions, a stalled ground redevelopment programme at its Canterbury headquarters, poor communications with its members and supporters and woeful performances on the field leaving the team second bottom in the county championship, all combined to make the season one of the worst in the modern Club’s distinguished 141 year history. And in the past few days, the coach and two of the senior batsmen have all departed, leaving the team desperately short of both numbers and experience. With doubts remaining too over whether the player of the season will get the new contract that he deserves, that situation is likely to get worse before it gets better. But in the past week, I have sought solace in some of the county’s many other delights – country walks through the full to bursting apple orchards of haunted Pluckley and the beechwoods and meadows of handsome Harrietsham, a stroll among the bookshops in civilised Tunbridge Wells, and Kentish beer and seafood at the Broadstairs Food Festival, overlooking the packed beach of Viking Bay, basking in the baking October heat and looking like a scene out of the nineteen fifities. Though I currently live in the “compost heap” of the “Garden of England”, I am no more than an hour and a half, by car, bus or train, from any of its attractions – the castles of Hever, Scotney, Leeds and Rochester, the gardens of Sissinghurst and Emmetts, splendid houses like Groombridge Place, Finchcocks and Knole and what J.M.W Turner called the “loveliest skies in Europe” along the Thanet coast. 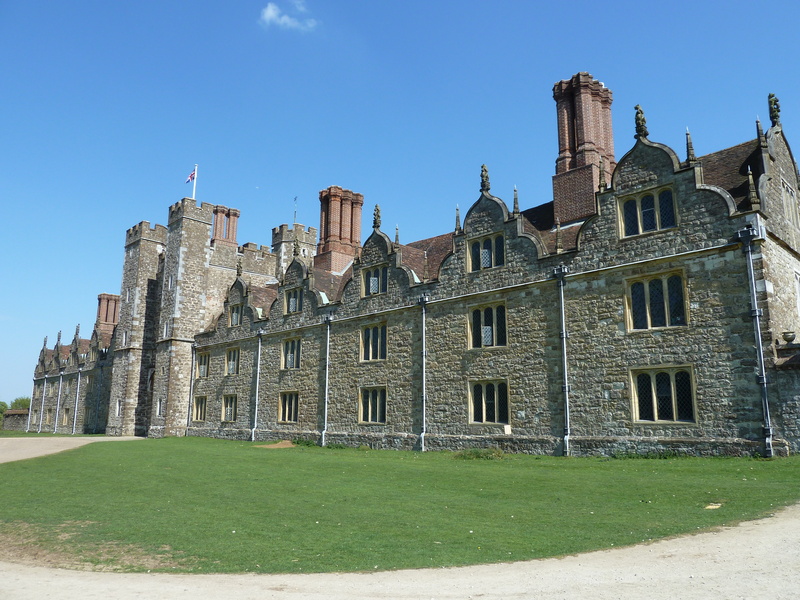 Throw in two world class animal parks dedicated to conservation, the White Cliffs of Dover, otherworldly Romney Marsh, the rolling North Downs and atmospheric Wealden woodland – the list goes on (my apologies to any favourites of yours that I have missed out). I count myself lucky in having been born, educated and, after a brief but largely loveless affair with other parts of England, lived in this wonderful county. I’ve been equally fortunate to have grown up hearing and reading of the exploits of Woolley, Ames and Freeman and watching Cowdrey, Knott and Underwood in their pomp. But whilst the experience of the cricket, at least at the professional level, has sunk in the past couple of years, there are still those other two features, and much more, to fall back on in the coming months.